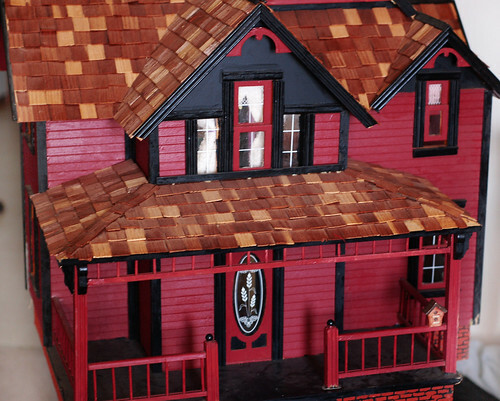 Oh, your dollhouse is so neat! I never had one as a kid. How can you have tomatoes with this weather? I'm envious! 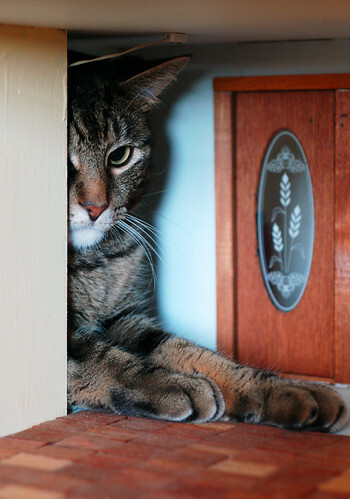 love the photo of the cat trying to get in!! and that pear tomato is perfect. 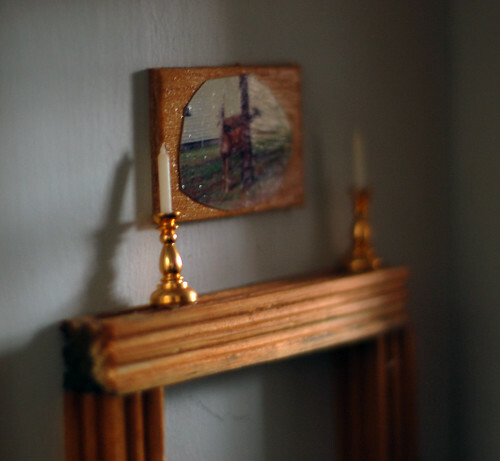 I love the dollhouse. I always wanted one when I was younger. Can I have it when you are done? J/k. It is lovely though. I also love the little pear tomato. It is cute. 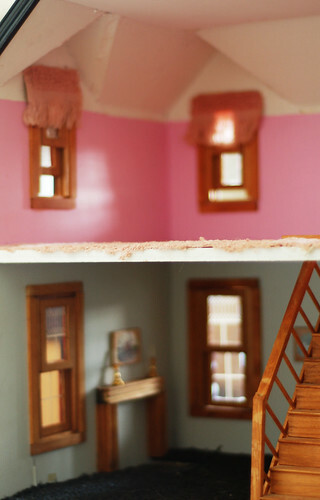 That cat in the dollhouse picture is too cute! 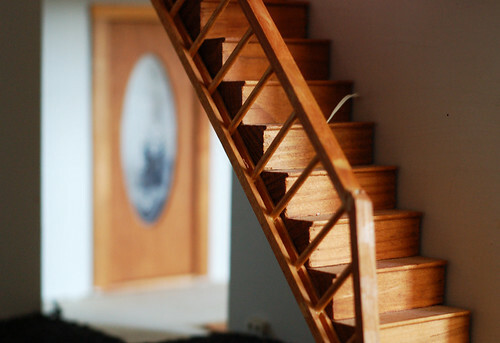 I really love the first photo of the stairs...they seem so inviting...I want to climb them! 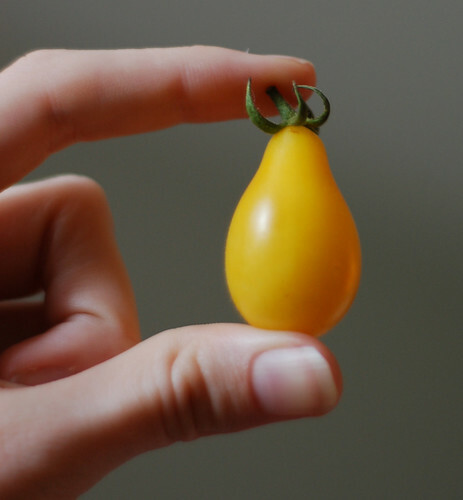 Also, what a perfect little tomato, and a model-esque hand holding it! i had my second day of school today. 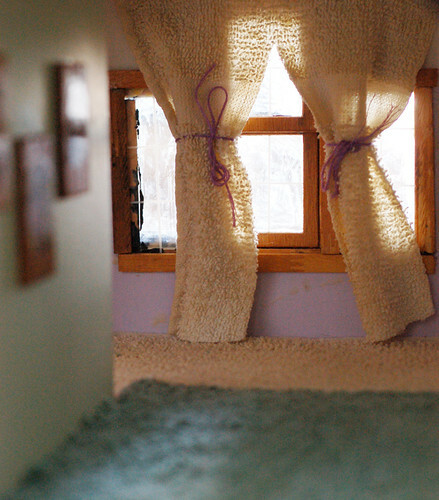 i want to live in your dollhouse. did i mention i'm jealous yet?? !